I received a question from @Cup_of_Teee on Instagram— “What type of locs would I recommend for her first set of locs, Sisterlocks or thicker locs (Traditional Locs)?” This was a great question! 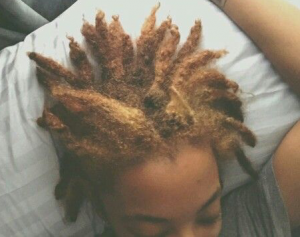 Since I’ve had both types of locs, I am going to share my advice for her and anyone considering locs but not quite sure which type of locs to start with. There are 3 main areas of your life that you want to consider when getting locs because they are a lifestyle, not just a hairstyle. If you’re more interested in a hairstyle, Faux Locs would be a better option for you— but that’s another topic. So, the 3 mains areas of your life that you want to think about when you are deciding between Sisterlocks or Traditional Locs are your lifestyle, budget, and views on professional Hair Care. Lifestyle. Are you very active, always on the go, like to workout, and want your hair to stay “neat” through it all? If so, then I would recommend Sisterlocks because they are interlocked which means your nu growth stays tamed for a good 4-6 weeks with minimal frizzing. However, with Sisterlocks you have to commit to a schedule that means going to get your retightenings done at the interval your Sisterlocks Consultant recommends and it may take a few hours, so be sure your active lifestyle can accommodate that. Otherwise, you can opt for Traditional Locs which give you more flexibility with maintenance but they don’t last as long between retwists. Budget. How much money are you willing to spend on your hair — products, maintenance, and possible repairs? 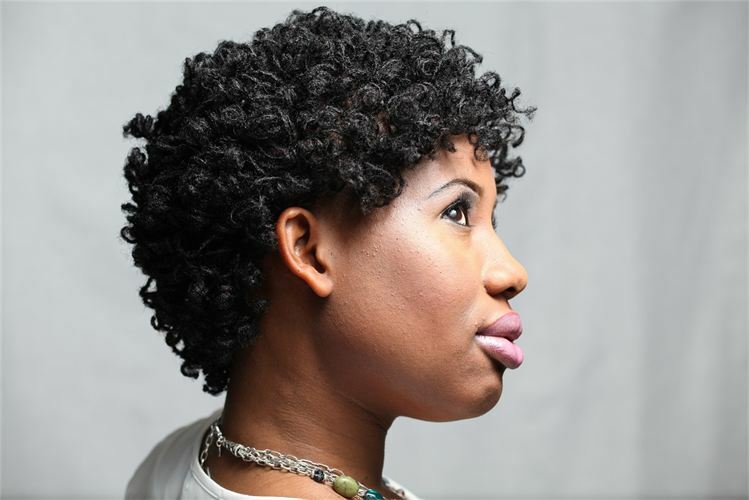 If you have an ample budget to spend on hair maintenance and products, Sisterlocks would work for you. A Sisterlocks installation can cost upwards of $1000 and maintenance is about $125 every 6-8 weeks. If you would only spend the money on your hair when it’s necessary, Traditional Locs would be a better option for you. To start Traditional Locs, it averages about $90 and maintenance can cost about $50 every month or you can DIY. You could also opt for Sisterlocks but look into a Sisterlocks Trainee instead of a Certified Consultant because the cost is a little less and the quality is (normally) just as good. Your view on Professional Hair Care. Have you always gone to the Salon to have your hair done? If so, with Sisterlocks you’ll feel right at home because you have to go get your Sisterlocks retightened every 6-8 weeks and will rely heavily on your Sisterlocks Consultant’s advice, recommendations, and expertise. 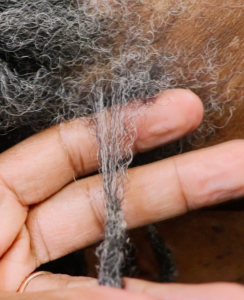 If you believe in styling your own hair and occasionally going to the Salon, Traditional Locs would be a better option because you can easily learn to retwist your locs yourself. However, you do have the option to learn to retighten your Sisterlocks by attending a “Retightening Class” for about $250— but it will take a few hours (or days) to retightening your hair yourself so think about your lifestyle and free time. 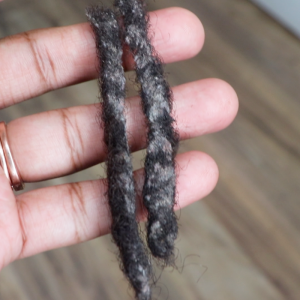 These 3 factors went into my decision to cut my Sisterlocks and start over with Traditional Locs and I share more in my video “Top 5 Reasons Why I Cut My Sisterlocks”. Also, if you are interested in more information about the styling, sizing, and product choices with Sisterlocks vs. Traditional locs, check out “Advantages & Disadvantages of Sisterlocks and Traditional Locs”. Are there any other things you’re considering (or considered) before starting locs? Thank you so much for responding back to my question. I now have a better insight of both types of locs and which one will work better for me. I really appreciate your help and making my decision much easier! Because you had sisterlocks and now thick locs (But not so many) is there a diffrence in fulness?? Which lock size, is Better if i want a fuller appearance?